Windows are objects — they have both code and data — but they are not C++ classes. 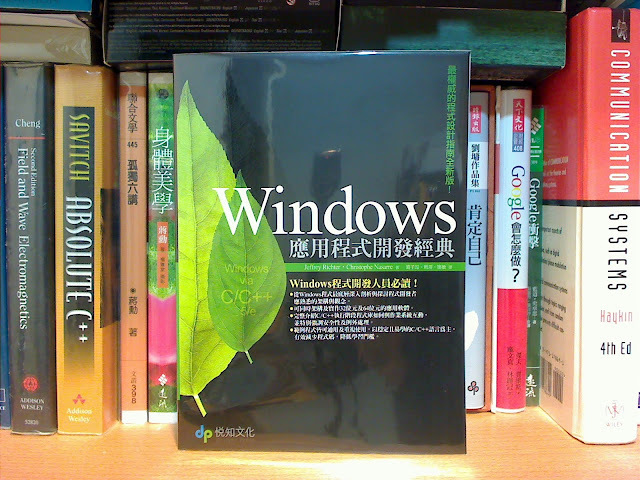 Instead, a program references a window by using a value called a handle(控制代碼). A handle is an opaque type. Essentially, it is just a number that the operating system uses to identify an object. You can picture Windows as having a big table of all the windows that have been created. It uses this table to look up windows by their handles. (Whether that's exactly how it works internally is not important.) The data type for window handles is HWND, which is usually pronounced "aitch-wind." Window handles are returned by the functions that create windows: CreateWindow and CreateWindowEx. HANDLE void* System..::.IntPtr 32 bits on 32-bit Windows operating systems, 64 bits on 64-bit Windows operating systems. CHAR char System..::.Char Decorate with ANSI. LPSTR char* System..::.String or System.Text..::.StringBuilder Decorate with ANSI. LPCSTR Const char* System..::.String or System.Text..::.StringBuilder Decorate with ANSI. LPWSTR wchar_t* System..::.String or System.Text..::.StringBuilder Decorate with Unicode. LPCWSTR Const wchar_t* System..::.String or System.Text..::.StringBuilder Decorate with Unicode.